a) The revised pay structure shall be admissible to those employees who opt for the same in accordance with the extent Rules. b) Deductions on account of Provident Fund, Contributory Provident Fund or National Pension Scheme, as may be applicable, will have to be made on the basis of the revised pay w.e.f. the date an employee opts to elect the revised pay structure. c) Until further orders the existing allowances in KVS shall continue to be admissible as per the existing terms and conditions irrespective of the revised pay scales adopted. d) There will be no payment of arrears to the employees which will accrue to them on. account of the revision of pay as the same has been put on hold by the Ministry till additional budget allocation on this account is made available. 2. A copy of Gazette Notification No.1-2/2016-IC dated 25.07.2016 issued by Ministry of Finance Department of Expenditure as Central Civil Services (Revised Pay) Rules 2016, Memorandum No. 1-5/2016-IC dated 29.07.2016 and OM No. 1-5/2016-IC dated 01.08.2016 are forwarded for necessary information and guidance as (Annexure-II, III & IV) respectively. 3. Copy of Form of Option is attached as Annexure-V. The Option shall be obtained from the employees within 03 months from the date of issue of this letter, in duplicate. The statement of fixation of pay under Central Civil Services (Revised Pay) Rules, 2016 is attached as Annexure-VI. 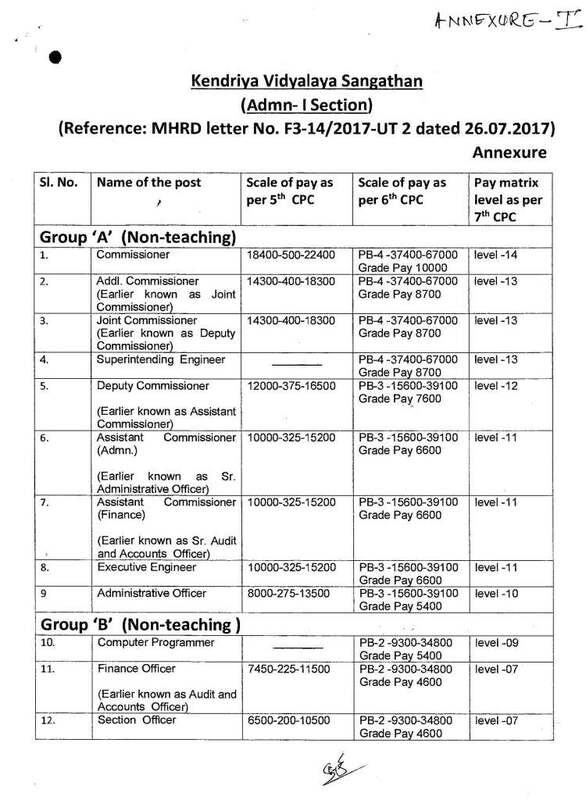 The same may be prepared with reference to the pre-revised scale and the corresponding revised Pay Matrix level as per 7th CPC, in duplicate. Each employee has to submit an undertaking. A copy of undertaking is attached as Annexure-VII. 4. The option for revised pay scales may be obtained in prescribed proforma in duplicate. 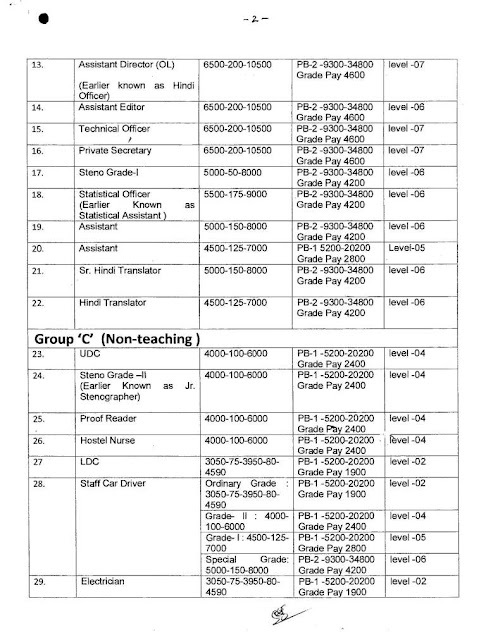 A copy of the same may be pasted in the service book of the employee concerned while the other copy along with a statement of fixation of pay as per Annexure-VI ibid may be sent to the Finance Officer of the Region in case of Kendriya Vidyalayas and Regional Offices for verification and approval. 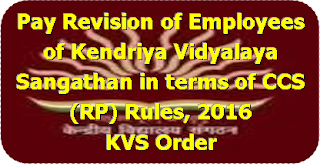 The Finance Officer shall retain the copy of the option exercised by the employee along with one copy of the statement of fixation of pay for record in his office, while the second copy of the statement will be returned to the Vidyalaya concerned after approval. On receipt of the statement of fixation of pay duly verified and approved from the Finance Officer, the Principal/ Deputy Commissioner will paste the same in the service book of the employee concerned. 5. -Options in respect of Deputy Commissioners / Assistant Commissioners and Administrative Officers of Regional Offices, whose service books are maintained in the Headquarters will be sent to Assistant Commissioner (Establishment-I) KVS Hqrs along with the statement of fixation of pay. 6. 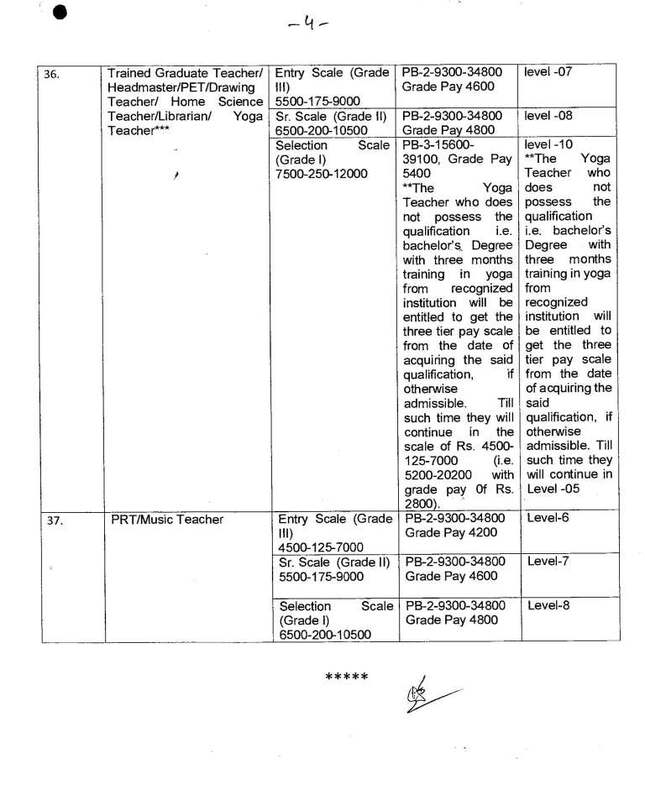 The pay can be drawn as per revised scale for all the teaching and non-teaching staff of KVS on the basis of pay fixation statement without awaiting approval of the Finance Officer of Regional Office concerned /KVS (Hqrs) in view of specific undertaking in Annexure-VII ibid. Similar action can also be taken in case of staff of Regional Offices. 7. Copy of this circular may be sent to all Kendriya Vidyalayas functioning under your administrative jurisdiction for implementation immediately under intimation to KVS (Hqrs). 8.The nomenclature of posts mentioned at Sr. No. 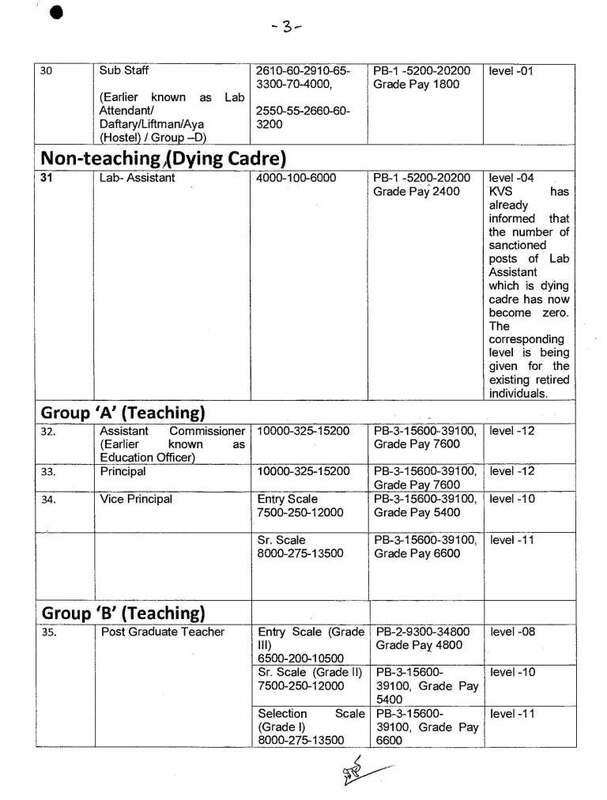 19, 20, 23 & 27 is that of Assistant Section Officer, Senior Secretariat Assistant and Junior Secretariat Assistant as already notified vide KVS circular dated 26.12.2016. 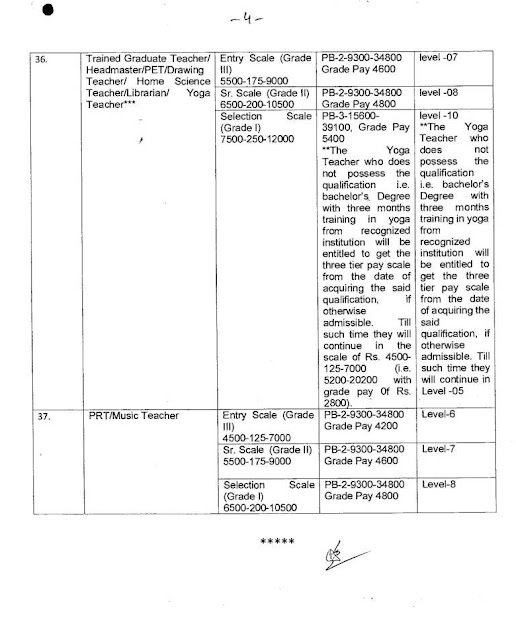 However, while issuing orders of pay fixation, the nomenclatures such as Assistant, UDC, LDC only may be used as the matter of change of nomenclature of these posts is under examination. Hindi version of this letter will follow.